The Minnesota chapter of the National Alliance on Mental Illness will hold a Spring Gala benefit on Saturday, April 28 at the Radisson Blu Minneapolis. Speak Easy about Mental Health is this year’s Roaring Twenties themed attire desired but not required to go with music from High Brow and the Shades. The event will include a live and silent auction, a plated dinner, and live music and dancing — all supporting the mental health community. The Spring Gala supports NAMI’s programs of education and support for children and adults with mental illnesses and their families. 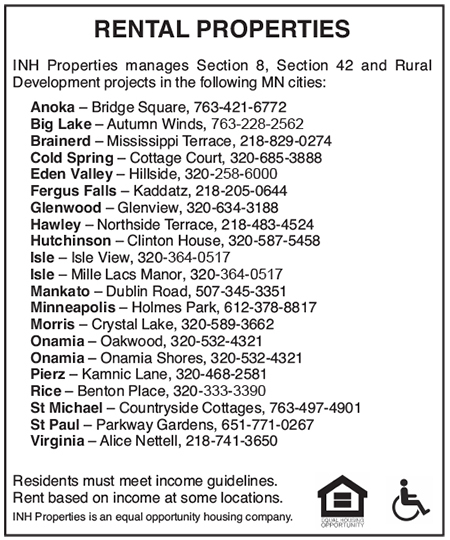 For reservations or information, go to namihelps.org or call 651-645-2948. NAMI Minnesota is a non-profit organization that works to improve the lives of children and adults with mental illnesses and their families through its programs of education, support and advocacy.